Every Aspect of Your Equipment Will Be Cared for! At Air Repair our job is to look out for our customers’ best interests! We provide residential and commercial air conditioning or heating services throughout the entire New York City Metro area. If you’ve got problems or just looking for a second opinion, feel free to give us a call. We’d love to speak with you. With over 3 generations of family-owned commercial HVAC operation throughout the New York, we are proud to have established a bullet-proof reputation. We have been able to not only survive in the worst economic climates throughout the decades but more importantly strive to new heights. The reason for this is chiefly due to our strong focus on commercial client satisfaction and a strong knowledge of HVAC systems. We also have a very deep sense of company values which have existed for well over 60 years. Not only do we take our work very serious but we love what we do. We truly enjoy diagnosing, repairing or replacing HVAC systems. On the consulting side, Air Repair takes great pleasure in helping facilities to design the most efficient heating and cooling systems possible. At the end of the day, we have always been able to maintain a fortress-like business model because our clients know that they can depend on us 24 hours a day and 7 days a week for any emergencies that may arise. Our team of technicians is all backed up by the strongest insurance policies, a strong inner sense of our core values, and quick troubleshooting skills that rival the competition. It’s very important that you understand that a commercial grade AC system is not something that can be repaired with a manual. You’re going to need a company that has years of experience with AC troubleshooting of legacy and newer systems. Now you do have a choice of hiring or checking out hundreds of companies in the NYC-NJ Metro area for repair, but how many truly have the experience? Does your facility have the time, funds, or patience to remain without cooling? 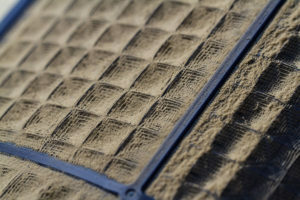 Do you want to be hassled if your cooling system goes down just a few days after it was fixed? When it comes to AC installation in New York City y, the process is more through than you may think. Rather than just dealing with any old company advertising, there is a large checklist we go through so that you end up with the most efficient cooling system possible for your facility or commercial property. There are many different types of AC systems. With that being said, we’re able to recognize that some may be more energy efficient for your facility enabling a decrease in monthly power costs. This is especially important if you’re operating a large commercial property. When it comes time for installation, our AC technicians will analyze the space and decide (pending your approval) which system will be the most efficient for you. Remember, we have over 20 years of continuous relationships with some rather large companies. This would not be the case if we were inept, unresponsive or did not have the experience to keep installed units running at their peak efficiency. No Air Conditioning system installation is too large for us. We have plenty of experience using cranes and getting units installed into the tightest areas, all without disrupting employee productivity or foot traffic into your commercial property. Our key goal in the replacement of your AC system is our client’s overall satisfaction. We never just provide an installation and run. We would like to become your partner in anything HVAC related. Air Repair specializes in AC unit installations at the most complex levels. Our team will take the time to understand all of your needs and devise a precise project layout which takes into account design, coordination, operation and construction and scope of the work. We specialize in retrofits, build-outs, and complete system modifications. The end goal here is to create an advanced Cooling system for your commercial property which will reduce your energy costs, meet your power demands to keep everyone cool, and increase efficiency across the board. Since we have past experience successfully installing enterprise level cooling systems for fortune 500 companies, we are also highly experienced within planning and specifications. If you have a project coordinator that has a set of blueprints or predesigned drawings, we’ll go over every single portion to make sure your project stays completely within budget and you get exactly what you need. This is what Air Repair does; we make sure everything goes for you as we would want ourselves. 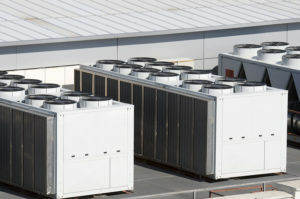 Call us today in regards to any of your Commercial Cooling needs. When it comes to your facility or building’s commercial furnace, break-downs are an inevitable problem. At Air Repair, we don’t see problems, all we see are solutions. Commercial heating equipment requires a far different level of expertise than what is typically used in residential properties. For one, the equipment is larger and far more complex. 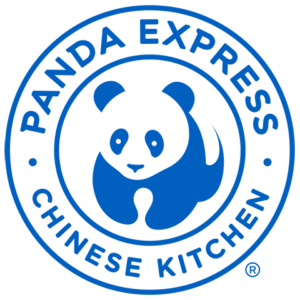 The more complex the system, the more factors there are that may be involved which could have caused the unit to shut down. Winters in New are bitter and the last thing we want to hear is that your employee productivity as well as sales is down due to a loss of heat. Whatever the case may be, you’re looking at something that will affect your company’s bottom line and that’s never a positive element. 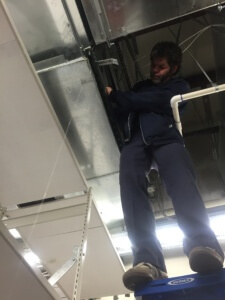 From single zone to multi-zone setups, our commercial heating technicians at Air Repair can handle even the most complex setups. We have always maintained excellent relationships with local equipment and parts suppliers. Our technicians also carry many parts needed for on-demand repairs. Commercial heating systems are complicated and if one component fails, it will cause the entire system to malfunction resulting in a loss of heat. We have over 60 years of combined experience troubleshooting complex heating systems in the NYC and Northern Jersey areas for commercial establishments. You can always count on us for prompt service, efficiency and safety. If you are in search of dedicated Heating Company call Air Repair today. As your company or facility’s heating system ages, the chances of system failure and loss of efficiency become much greater. 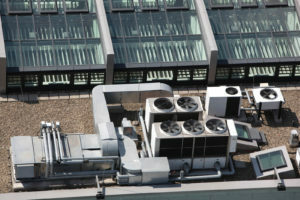 Air Repair specializes in the proper installation of commercial heating systems and equipment throughout New York. With a strong focus on efficiency and reliability, we have been able to maintain relationships with larger customers for the better part of over 20 years due to our relentless response times and quick troubleshooting due to experience. If your facilities manager or board has made the decision that it’s time for a new heating system or the current company you’ve hired simply can’t keep the heating going; we are here to keep you warm. Air Repair pride ourselves on designing high efficiency, complex heating systems that will fit your budget, and meet the maximum demands for heat without constantly breaking down. Either way you look at it, you’ll be saving you money. Depending on the age of your furnace, most modern commercial furnaces are 95% more efficient in terms of energy. No heating system is too large or complex for us to plan and install for you. No two facilities are alike. Each project or commercial establishment we provide heating services for have different demands. Now, you may find yourself in a situation where the current heating company is costing you too much money and alleviating the problem or the system you have may be just too old and needs replacement. There are a variety of factors we’ll use in determining what options you have for fixing a heating system. In NYC and Northern NJ, we have over 60 years of combined commercial heating system replacement and retrofitting experience. The primary reason you’d want your system retrofitted is to conserve energy, therefore increasing cost efficiency, and gaining modern tools such as automation. 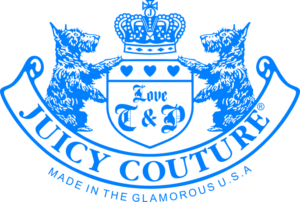 We are product independent and client satisfaction driven; therefore you’ll only get the very best service from us. Just like the run-time of your commercial furnace, we think long-term and we’d like nothing more than to be your partner in keeping that heating system running at peak performance during the colder months. Retrofits should always be avoided unless they are an absolute necessity. At Air Repair we don’t believe in spending your money for you. We believe the best thing is to advise where it could be spent best. Call us today for access to over 60 years of combined experience. We Really Care About Our Customers’ Overall Satisfaction! 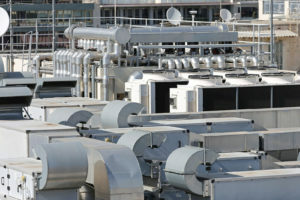 It’s important to remember that these systems (especially complex commercial equipment) cannot run year round at peak efficiency without management from an HVAC specialist. You can almost think of them like cars. With the exception in cars that you can ignore service and keep driving without the car breaking down for a longer period of time. With HVAC equipment, in order to keep your business’s costs down and maintain maximum efficiency for the units, scheduled maintenance work needs to be performed routinely. Believe us when we tell you how important this is. The cost of our scheduled preventative maintenance programs versus needing a brand new HVAC system installed are on two opposite poles. It will deeply affect your bottom line if the system is not managed properly. With Air Repair, we’ll set up a consistent schedule of service to maintain your units at keep everything running at 100% peak performance. Preventative maintenance is the most important thing you can do for your commercial heating and cooling systems. Whether you got them in poor condition, or bought brand new systems, maintenance is a fantastic idea for all HVAC machinery. At Air Repair we incorporate comprehensive maintenance plans with all of our clients to ensure there cooling systems stand the test of time.